Gah!! We have that couch set at my house!! 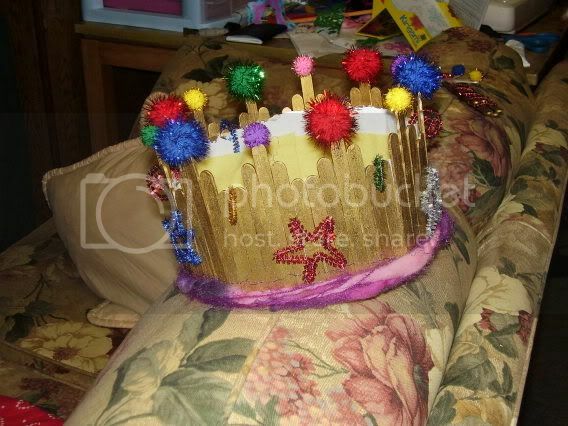 I love that crown, by the way! 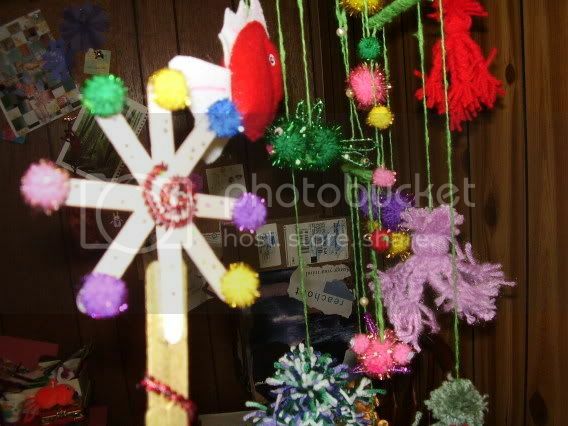 Wow, Now I want to make one and hang it in my room! 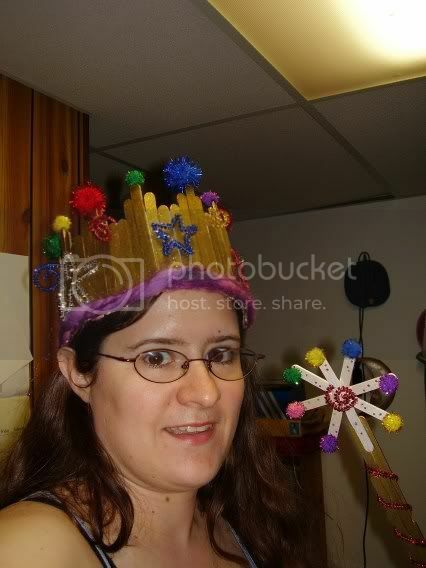 No one is ever to old to wear a popsicle stick crown! The fishies are very cute. you should totally make one! 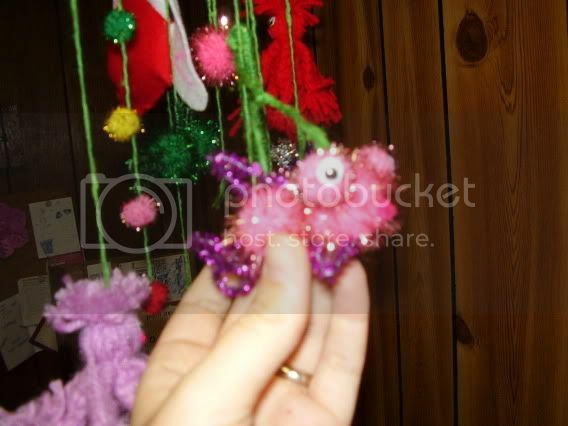 the photos don't do justice to how colorfull and sparkly it is. 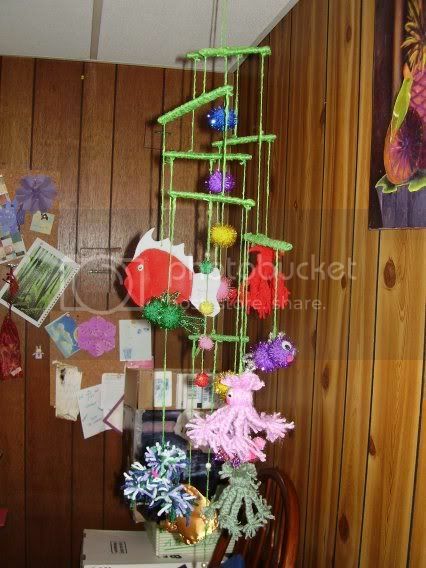 plus it is fun to see yarn octopi and pompom fish hanging in your space!